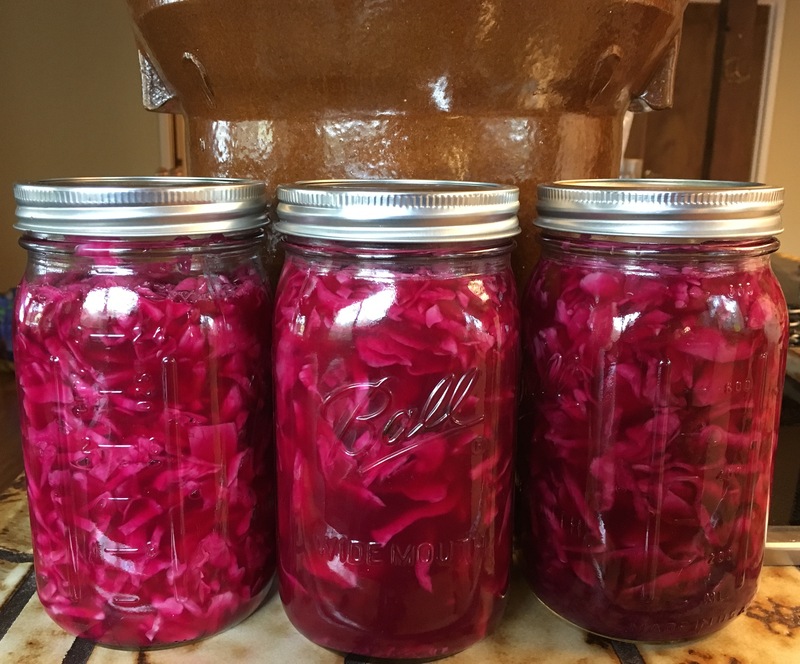 We’ve been making Sauerkraut for a few years now and this one is a new favorite. Lots of garlic and jalapeno peppers, almost like a kimchi. Goes great with everything! Put all ingredients into a large bowl and mix together by hand. Wear gloves for both slicing the peppers and mixing because they’re hot. You can kneed or press it for a bit to get the juices out of the cabbage as the salt sinks in, but I usually just make extra brine to pour on top. Put in any type of fermentation crock you like. We have one like the one linked below. Pack your veggies in crock and put the stones on top. I usually make extra brine if needed so that the brine goes above the stones. Start tasting after a week until it’s to your liking. I take ours out after a week to ten days and put it in mason jars in the fridge. Yummy and so easy to make!